What is the Difference between Title Insurance and Property Insurance? This is the part#5 of a series of documents regarding Title Insurance. Title insurance theory is different from most other insurance where, for example, rates and anticipated losses are based on actuarial studies and premiums are pooled on the assumption that a certain number of claims will be made. The distinction is important: title insurance premiums are paid to identify and eliminate potential risks and claims before they happen. Medical, property and casualty insurance premiums, for example, are paid to insure against an unpredictable future event, knowing that risks exist and claims will occur. 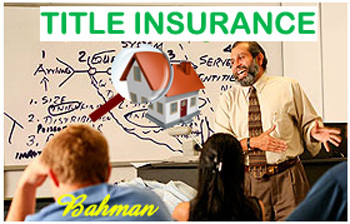 Furthermore, title insurance involves a one-time premium with the same rate for everybody, paid when you close the real estate transaction, while property, casualty and medical insurance require renewal premiums with different rates for different people based on their age, condition, gender, habits, previous claims, etc. What if a Claim Ever Arises? Title Insurance Companies operate under the theory of risk elimination. Title companies spend a high percentage of their operating income each year collecting, maintaining and analyzing official records for information that affects the title to real property. The goal of title companies is to conduct such a thorough search and evaluation of public records that no claims will ever arise. Of course, this is impossible - we live in an imperfect world, where human error and changing legal interpretations make 100 percent risk elimination impossible. When claims arise, professional claims personnel, from Title Company, are assigned to handle them according to the terms of the title insurance policy. There is no co-pay or deductible for Title Insurance claims, where there are always some kind of out-of-pocket (co-pay, deductible, etc.) 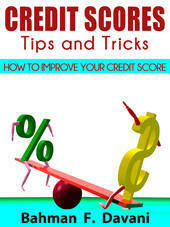 for property, casualty and medical insurance claims.